My white board filled with lists of things to do last week! I hope this post doesn’t come off as whiny. I really do. Don’t. Whatever. Anyway, here’s a peek into my “cake” week. Over on Facebook, I told some of you that I planned to do a cake stacking tutorial this past week. Well, my intentions were good, but on Thursday when I got ready to start, my camera battery was dead. No biggie… I figured I’d just do it on Friday when I got ready to stack another cake. But due to a family emergency (not my family, but the family of a customer), that cake order was canceled/delayed and all of my other cakes orders were single-tiered. The stacking tutorial had to wait (sad face). Honestly, I have a mile long list of planned tutorials (and I promise I am working on them!! ), but taking pictures of every step of a recipe or decorating task takes time… lots and lots of time. In addition to actually baking and decorating the cakes and the picture-taking… I also have to also edit/watermark the photos, write the posts, create the links… all of those things also take lots of time… sometimes hours for one single post (true story!!). More specifically, doing the tutorial pictures alone easily quadruples the amount of time it takes me to do a cake if I have to stop, wash my hands, set up the picture (lighting, background, angles), get my hands in the picture and take the picture (that takes talent! ), wash my hands again, go back to what I was doing on a cake, stop, wash my hands…you get the idea. The hand-washing alone wears me out… I can’t get cake on my camera… and I always wash my hands before touching cake. Just this past week I slowed down and took step by step pics of decorating a cake, start to finish. It took for.e.ver!! With multiple cake orders due each week (last week was 8 cakes plus cake pops and I taught a cupcake class), kids to homeschool, plus all the other “jobs” I do as a stay-at-home Mommy… I just don’t always have that kind of time to spare. Wanna see? 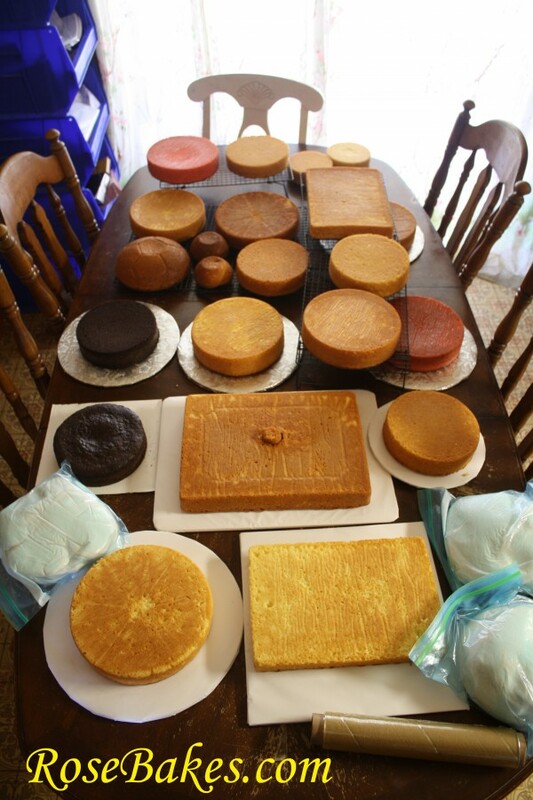 Those 8 cakes last week needed 23 total individual layers of cake plus 24 pounds of homemade marshmallow fondant… that, my friends… takes time! Now I’m not complaining… I love my job(s)… all of them. And I truly wish I could answer every question and email and do a tutorial every week… but I just can’t. So, what to do…what to do? A couple of days ago, one of my readers emailed me several questions and when I had a few minutes, I replied and tried to answer. I get emails like this weekly and I always try to answer when I have time (it all comes down to time management for me!). Anyway, she emailed back with some follow up questions and as I started to reply, I had an idea… what if I just shared that conversation here?! Maybe my answers can help more than one reader and maybe in the future from time-to-time, I’ll open up a post on Facebook and ask you guys for questions… then I’ll do a Q&A post to answer as many as I can. What do you think? I figure it won’t take any more time for me to answer the questions and publish them (vs. just replying in an email) and it might help you guys! So, here are the first few questions and answers (edited slightly to make sense). Obviously, this is not an exhaustive explanation and I do not have pictures to show you most of these things, but maybe a verbal explanation will help until I can get tutorials done! Q: Can you tell me how you stack your cakes? Do you put something between the cakes? A: The short version is I use bubble tea straws cut off level with the top of the bottom tier of the cake. For the second tier, it is on cardboard rounds, and I set it onto the bubble tea straws. If there’s a 3rd tier, I put bubble tea straws in the second tier, cut them off level and set the 3rd tier on top of that (with cardboard underneath), then I put a dowel rod all the way all the tiers. You can use dowels instead of bubble tea straws in all the tiers, but the straws are so much easier to cut, they’re clean and food-safe and they’re cheap. UPDATE: SEE MY FULL PICTURE TUTORIAL FOR HOW TO STACK CAKES HERE. Q: What are bubble tea straws and where I do I find these? A: They’re HUGE straws and I buy them on Amazon here. I highly recommend them over dowel rods! Q: The cardboard rounds..do you cover them in wax paper on both sides? A: I do not cover them in anything. I buy mine from a Bake-a-Box and Country Kitchen SweetArt and I use them just as they come to me. Q: Also do you always make your cakes fresh or do you ever freeze them? How many days in advance will you bake the cakes before you deliver or before they pick up if you don’t freeze them? A: If I have a super busy week, I do bake ahead and freeze them…usually on Tuesday or Wednesday of the same week. I have baked/frozen up to 3 weeks in advance when I needed to, but I rarely do that anymore. If I have a slow week, I bake on Wednesday or Thursday and refrigerate until I get ready to decorate. Q: Also where do you find most of your ingredients (best prices) for your cakes and supplies? A: I live way out in the middle of nowhere, so my shopping is limited. I buy all of my ingredients at Walmart, except for Tylose (see how I use Tylose to make bows) and pre-made Satin Ice fondant. Most of my other supplies I get online at Amazon and Country Kitchen SweetArt. There are a few other places that I occasionally order from but they escape me at the moment. 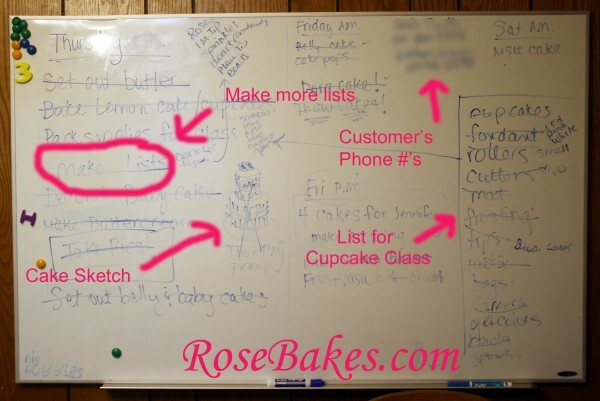 I’ll add that post idea to my list… “my favorite online places to shop for cake supplies”. You can also see where I buy cake and cupcake boxes here. So, that’s all the questions for today! Did this help anybody? Do you have further questions? Stay tuned for future Q&A posts! Thanks for the quick reply. I think I will go ahead and just buy the red fondant. Hi Ashley! Sorry I’m slow to reply and I hate it that this happened to you. Generally speaking, once a cake leaves my possession, I also pass on responsibility. I almost never deliver my cakes outside my home town (which is almost every weekend), so my customers do most of the transporting. I try very hard to help customers get the cakes into their cars – encouraging them to have it sit (or be held) level, use a seat belt, stuff a shirt around it – whatever it takes to secure it, but beyond that, once I no longer have it, I am not responsible. Now, that’s also assuming that I’ve put it together to the best of my ability which I always strive to do. 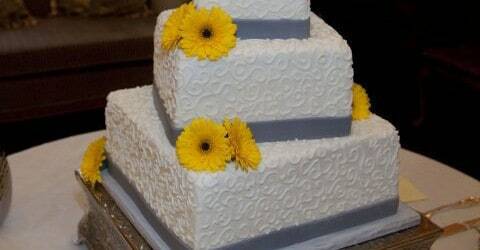 I always use straws and dowel any tiered cake. Did you dowel it? You can see how I stack cakes here. Using that method, to my knowledge or that I can remember, none of my cakes have ever had a tier move or slide. I have had one lean (it was 3 tiers), but it was repairable once it arrived – they just leaned it back up straight. As for the refund – I would say do whatever you feel good about doing. Once I refunded a customer who insisted I had done something to make her cake fall apart. However, she posted pics on Facebook of her son with the cake and it was NOT damaged, so I’m pretty sure she was lying. But because she got really nasty with me and wouldn’t stop sending me ugly messages AND I was losing sleep over it, I gave her her money back just to get her to stop harassing me. Was that the right thing? Maybe… maybe not, but it shut her up and I was able to move on with my life and not worry about it anymore. I hope that helps! I agree with everything Rose said. Rose is my hero. If they want their money back, I want my cake back. You don’t go back to the store to get your money back without giving them their shirt back, right? Good luck making your decision… at the end of the day, you will decide what works best for you. Thank God I have never had this happen with a cake, but I DID have it happen with an Etsy order! I sent a ‘baby bottom’ cake topper made out of rice krispy treats and fondant to New Jersey. I took pictures of it, and sent them to the customer before it left to make sure she was happy with it. The only negative thing she said was the purple looked a little dark (which it matched –to my eyes–the color she sent me) and I told her it did look a little dark in the picture due to the black background. When it left my hands, it was wrapped in bubble wrap and boxed to the best of my ability. It did not ‘move’ in the box and I was happy with it being shipped. 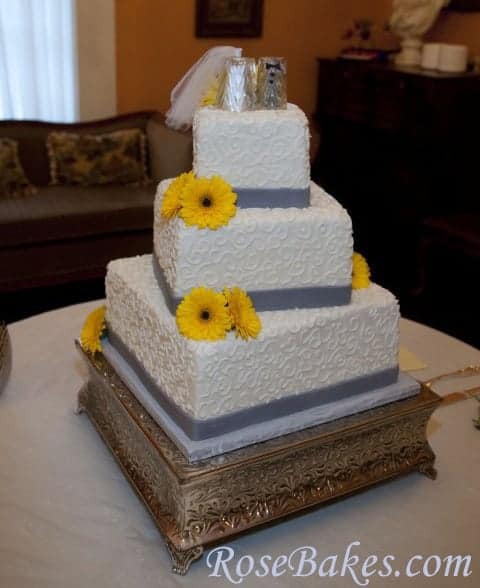 …..long story short, when she received it, she said the blanket had broken off and a leg (which was dried, thick pieces of fondant with tylose, and had small dowels thru them and royal icing, so I”m pretty sure it did not come out without help). She demanded a refund, which, after talking with my husband, I felt I was not responsible for. She refused to send me pictures of the topper, although I took time to send her pictures of it when it was finished. I just didn’t have a good feeling about the whole situation. I told her I would contact Etsy, which I did and they informed me if I stated in the sale that it was not my responsibility once shipped, that I was not liable for it. She hasn’t sent me another nasty message and I am just praying I don’t run into anymore nasty ppl like her! We will all come in contact with people like this in this business. I think the best advice would be to do whatever you feel is ‘right’ in your heart! thank you all for the great input! Sorry I didn’t respond before now but I had the wrong email address posted and had seen no responses right after the post so I had moved on until tonight when I thought to check again. I ended up not refunding because in the end it was her fault which she later was able to admit fully. She was very pleasant about it in the end (even laughing it off) which I didn’t find it very funny:). I had not used a dowel to run all the way through the middle but I had used supports under the top tier so I felt like for the size I had enough support. I have successfully completed two more stacked cakes since then and neither had any issues which was comforting. I still doubt myself each time though out of fear…maybe this will get better over time:/. Thanks again for all the help and support from all of you! 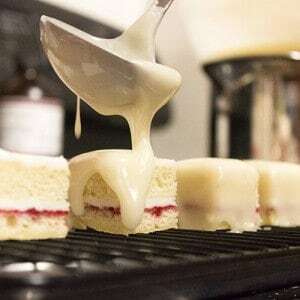 I’m sure you have already answered this…but, when you refrigerate after baking but before frosting, do you wrap or bag the cakes and if you do, in what?